The VW Golf is perhaps the most popular compact middle class car on the market. The Volkswagen Golf can be supplied in three different versions. This not only involves a 3 and 5 door hatchback, but she can also be ordered as a station wagon. Did you know that there are even convertibles and SUVs that carry the Golf label? Unfortunately, it is always possible that you will be confronted with certain types of window damage. In particular, a windscreen is susceptible to such damage. Do you have to do with this and are you looking for an interesting solution for the windscreen replacement of your VW Golf? In that case we will be very happy to help you! How does the damage to the windscreen of your VW Golf occur? Many car owners sometimes think that all the automotive glass in their vehicle is the same. That is not true, however. For the VW Golf (like most other cars), the windscreen is the only one made of laminated glass. The side and rear windows of this compact middle class car are made of tempered glass. This means a structural difference in the area of damage that can occur. The damage to the Volkswagen Golf windscreen will therefore always express itself as an asterisk or a crack. In the worst case, it can be completely shattered, but it will never just splash. This is because the laminated glass of a car windscreen consists of several layers with a so-called PVB film in between. The latter has an adhesive effect on both sides so that shards are kept together in a very efficient way. In this way, they cannot injure the occupants of the vehicle. Windscreen replacement in case of damage. Do or don't do it? 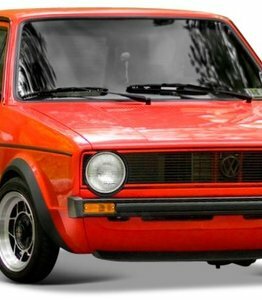 When is a windscreen replacement of a VW Golf really required in the event of damage? Many of our competitors will be happy to make you believe that this is always the case. However, that is certainly not the case. It may always be advisable, but that does not mean it is mandatory. In principle, a damaged windscreen can only cause a rejection of the APK in two situations. This is the case when the damage is a window damage with a so-called branch or a single crack in the driver's field of vision and is therefore obstructed while driving. In this situation, a single reflection is sufficient to ensure a dangerous situation on the road. It goes without saying that disapproval of the APK in this case is a logical consequence. Replacing a broken windscreen is therefore not always necessary. However, it is recommended, not least because approximately 40 percent of the stiffness of the car chassis is achieved by the available automotive glass. Many people are postponing the windscreen replacement of their VW Golf because they fear that it will entail very high, almost unaffordable costs. However, we can reassure you that is not the case at all. At least not when you choose to buy an after market car window. The factory where after market automotive glass is produced is the same as where an original one is made. Not only the factory, but also the production line does not differ. As a result, there can be no question of a loss of quality. All our car windows are always produced for the after market according to the strictest European quality standards. Do you not only want to be able to count on the best price for a VW Golf windscreen, but you also want to be sure that the most optimal quality is guaranteed? In that case, choosing one of our after market car windows is highly recommended. The Golf is one of the world's oldest types of cars. The first Golf rolled off the band in the year 1974. This first version remained available until the year 1983. The successor that came on the market in the same year was produced over a period of no less than 9 years. An interesting detail that many people don't know is that the VW Golf II convertible was not manufactured. Instead, it was decided to maintain the Golf I as a convertible for a longer period of time. The last Volkswagen Golf to appear on the market at the time of writing was Golf VII in the year 2012. This is still being produced today. It is the first Volkswagen ever built on the MQB platform. 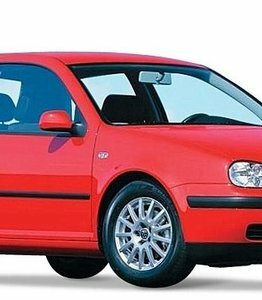 In the year 2017, a brand new facelift version of this VW Golf appeared, called Volkswagen Golf VII GP. Replacing your VW Golf windscreen yourself is not an option for everyone. In principle, only hobbyists and garage owners will do this. So what if you do not have the necessary knowledge to achieve this? In that case, the best solution is to outsource the windscreen replacement of the Volkswagen Golf. We call on one of our various certified partners to do this, so that you are always assured of the best possible quality and service. It is not even a problem to replace your VW Golf windscreen on location. If you choose to outsource the windscreen replacement of your VW Golf to one of our FOCWA certified partners, this will also ensure that you can count on even more interesting advantages in certain situations. This applies, among other things, to the owners of a Volkswagen Golf who are insured with third party, fire and theft or comprehensive coverage. In that case, glass damage is mostly covered by your car insurance. Nevertheless, you still have to take into account a certain deductible. However, this own risk is now waived by FOCWA member partners with whom we cooperate, up to an amount of 150 euros. It was with absolute certainty never more advantageous to replace the VW Golf windscreen!